MINNESOTA is world famous for essentially four things: cold weather, lakes, Bob Dylan and Prince. But we have a larger secret: we have one of the finest music scenes in the country. Here are ten reasons to come to Minnesota and just listen. No music lover’s visit to the Twin Cities is complete without a stop at this landmark club in Downtown Minneapolis. The former Greyhound bus depot debuted musically as The Depot in April of 1970, hosting Joe Cocker on his “Mad Dogs and Englishmen” tour. It morphed into it “Uncle Sam’s” before settling on First Avenue in 1981. 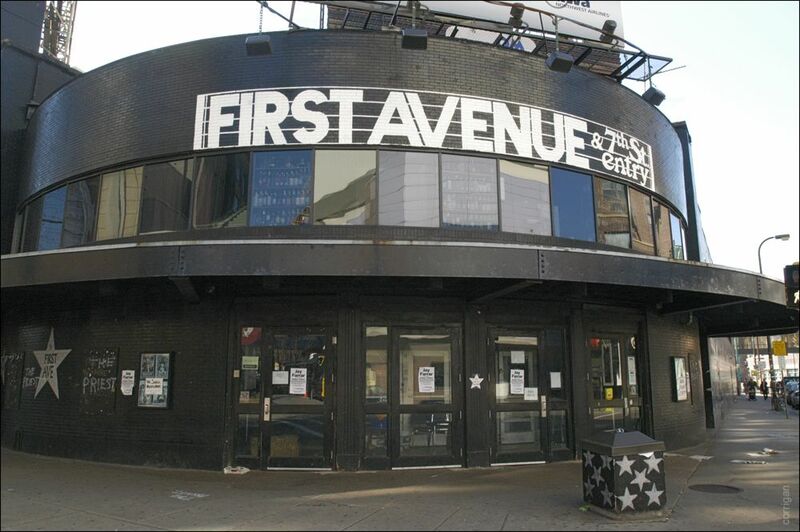 First Avenue has hosted just about every legendary name in rock and roll, from The Ramones to Public Enemy to Weezer. But, the club is best known for local artists who have taken the stage. In the 1980’s heyday of Twin Cities music scene, on any given night music fans could see Hüsker Dü, The Suburbs, The Suicide Commandos, or The Replacements. Prince really put the club on the map, filming a majority of Purple Rain in the club. Today visitors can see music in the main room or in the small capacity 7th Street Entry stage, and they can grab some decent food at the Depot Tavern. Playing the main stage is still considered a rite of passage for upcoming local bands and national touring acts. In 2010, Alex Ross, in The New Yorker, called the Minnesota Orchestra, “the greatest orchestra in the world.” For more than a century the Minnesota Orchestra has enjoyed a reputation for being among the best in the world, and under the direction of Osmo Vänskä that reputation has only grown and solidified. 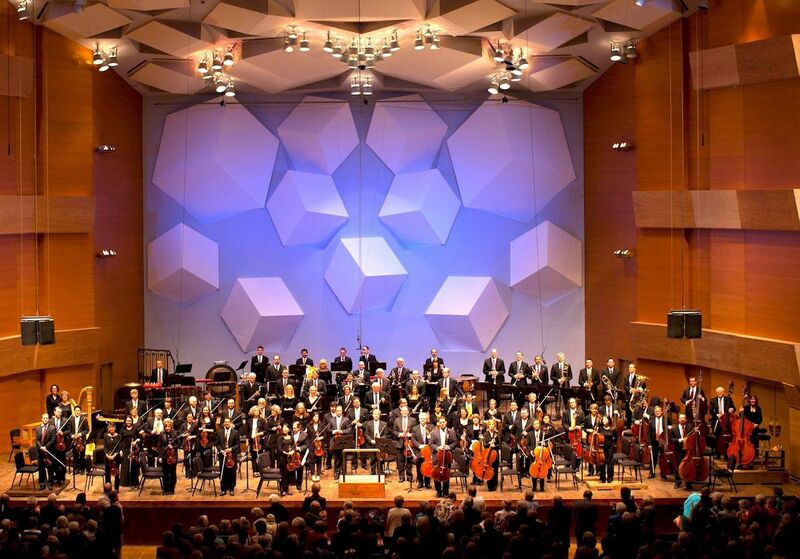 The orchestra’s home is the great, ornate, and acoustically perfect Orchestra Hall in Downtown Minneapolis, but the Minnesota Orchestra regularly plays concerts across the state, the country and the world. In late June and early July, the orchestra celebrates their four-week Sommerfest, with concerts at Orchestra Hall. The orchestra also offers free live music on the plaza before and after each show, the music varying from folk to jazz to polka. The cafes and bars on Nicollet Mall and across the street from Orchestra Hall’s Peavey Plaza offer outdoor seating so patrons can have a cold beer or a cup of coffee while listening to some of the best musical performances in the world. Mid West Music Fest may be the most ambitious annual event on the Minnesota music calendar. Every April, more than 100 bands from all over the Midwest, the country, and all over the world arrive in Winona, where they play in one of at least ten different venues over the course of three days. Winona is a picturesque little college town of 27,000, on the banks of the Mississippi River in the South East part of the state. Winona has a vital arts and music scene. 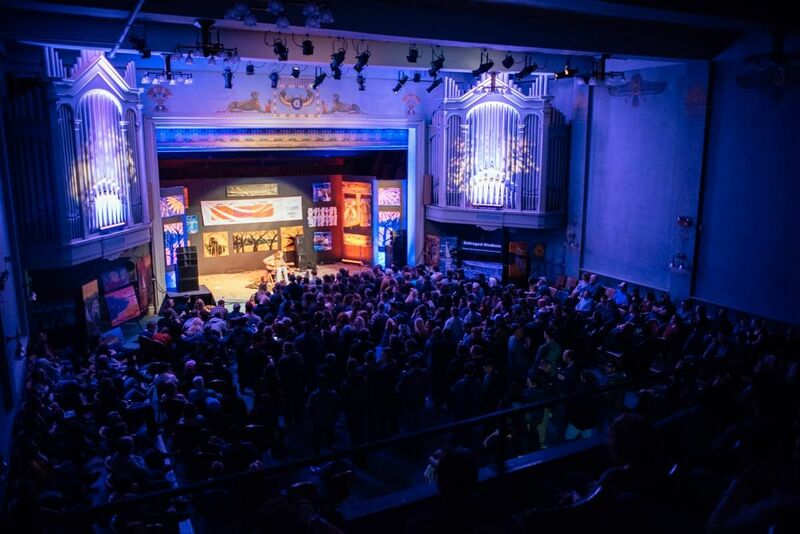 It is full of coffee houses, bars, restaurants, theaters and unique rooms like the ornate Masonic Hall, which offer a perfect setting for any performer. Over nearly ten years MWMF has featured the likes of Dessa, Nick David, Chastity Brown, Charlie Parr (who is an annual participant), Lizzo, The Big Wu, Jeremy Messersmith, Astronautilus, Dead Man Winter, Spider John Koerner and hundreds more. The only maddening part about the Mid West Music Fest is that it’s impossible to hear everything, which means you’ll want to go back again the following year. 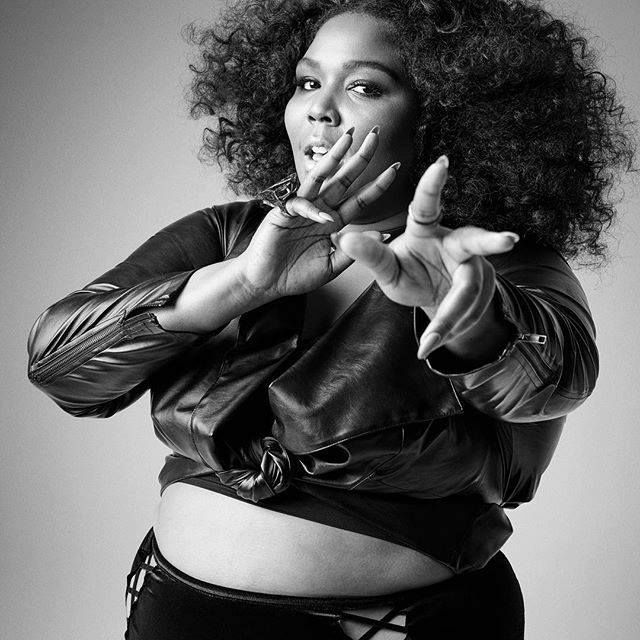 The local rap community is led by the slowly-becoming-legendary record label Rhymesayers, and features acts like Dessa, POS (who are both members of the Doomtree collective), Atmosphere, Brother Ali, Dem Atlas and the Twin Cities’ latest and greatest hope for worldwide success, Lizzo. On any given night you can see these musicians and so many others at clubs like the Nomad, Honey, the Triple Rock Social Club, the Amsterdam or the Skyway Theatre. The Minnesota music scene is not just limited to the Twin Cities. Duluth, the port city on the far western tip of Lake Superior has its own creative community and its own rich musical heritage. Trampled by Turtles, a band at the forefront of the “Newgrass” movement is a product of Duluth. Gaelynn Lea, who won National Public Radio’s Tiny Desk Contest in 2016 is a fixture of the Duluth scene. Low, the critical darlings of the indie rock world have made Duluth part of the band’s identity. The birthplace of Bob Dylan has dozens more music venues today than it did the last time Mr. Zimmerman called it home. Bars like Sir Benedict’s Tavern and the Red Herring offer music on a nightly basis. The Sacred Heart Music Center is a destination performance space for every Minnesota band. 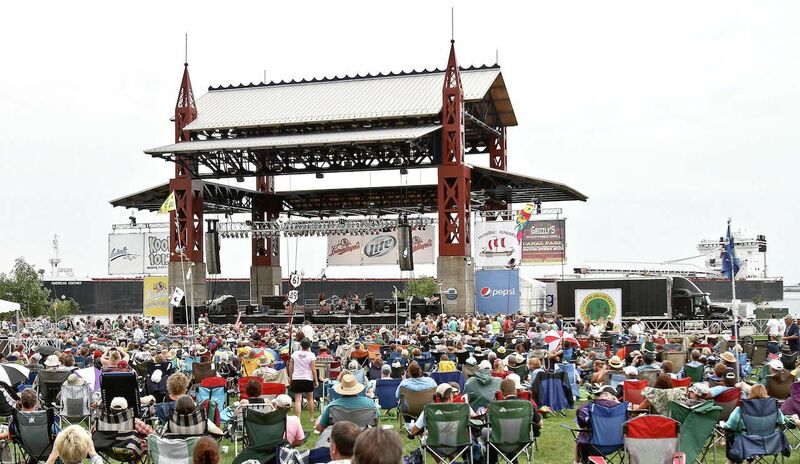 The Amphitheater at Bayfront Park is home to the annual Bayfront Blues Fest, the largest blues festival in Minnesota. 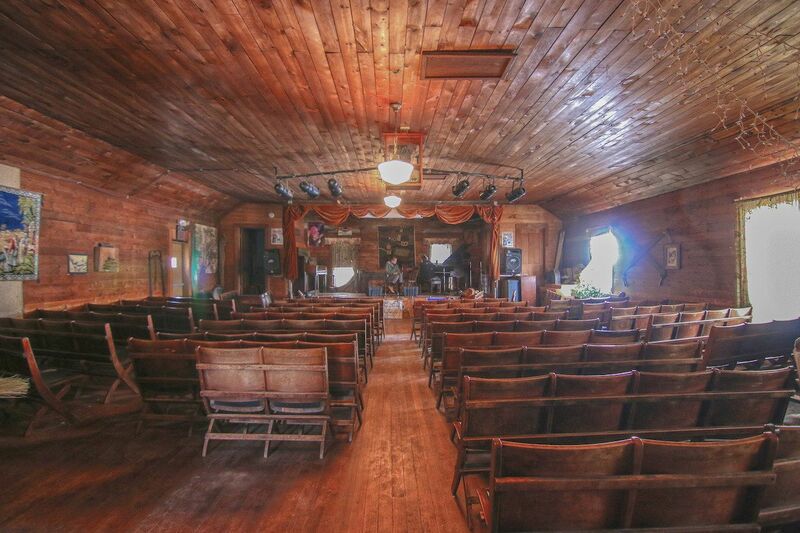 Just south of the Twin Cities, you’ll find the most charming music venue in Minnesota. The Oak Center General Store, owned and operated by one of Southern Minnesota’s last hippies standing, Steven Schwen, is part commune, part 19th century mercantile and part folk-revival listening room. Set on Schwen’s 14-acre farm, the Oak Center General Store offers retail organic produce, meat, and other fair trade and handmade items. The second floor of this century-old building, an old Grange Hall that Schwen has converted into a performance space, is filled with rows and rows of reclaimed theater seats, with a few couches, love seats and at least one rocking chair in the back of the room. From October through April, Schwen packs the room every weekend, in a series he calls the Folk Forum, and books some of the finest folk/country/Americana/blues/Celtic musicians and performers in North America, from legends like Greg Brown and Bill Staines to up-and-coming local favorites like The Pines and Dusty Heart. Steven’s cats and two dogs wander the aisles during the show, and if you’re sitting in that rocking chair don’t be surprised to find a cat snoozing in your lap during the second set. It’s been said that Minnesotans don’t enjoy summer so much as they attack it. When five months out of the year is spent calculating wind chill factors, the warm weather months become that much more important. 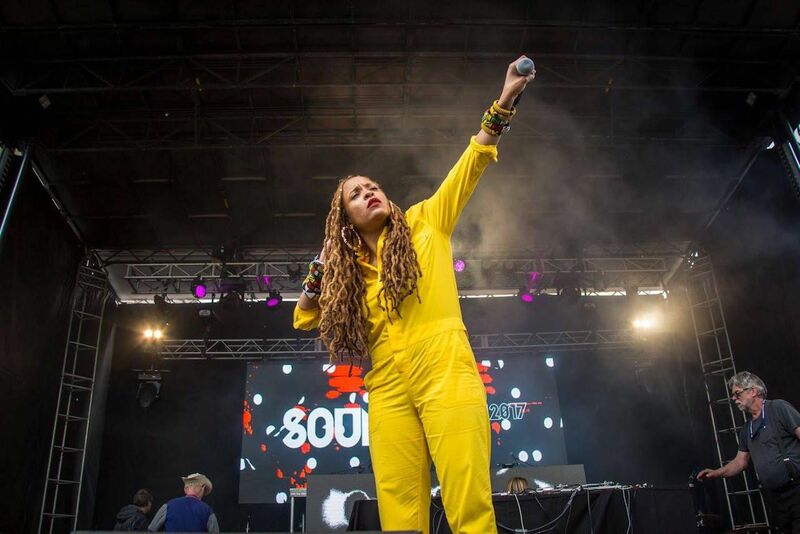 Soundset, organized by local record label Rhymesayers brings together the best in local and national hip-hop. Rock the Garden, a joint effort organized by the Walker Art Center and radio station 89.3 The Current is a daylong party featuring national and local Modern and Indie Rock performers performing in the Walker Art Center Sculpture Garden. The Basilica Block Party sponsored by radio station Cities 97 is an annual fundraiser for the Basilica of St. Mary in Downtown Minneapolis with an always interesting lineup of adult contemporary music. WE Fest in the Northwest Minnesota tourist town of Detroit Lakes is one of the longest running and most successful country music festivals in the US. The smaller but formidable Rock Bend Folk Fest in St. Peter acts as an excellent predictor of who to keep an eye on in the local music scene. Jim Walsh. Photo by Tony Nelson. If a person has taken the stage in Minneapolis or St. Paul with a guitar in hand over the last forty years, chances are long-time Twin Cities music scribe Jim Walsh has written a story about them. 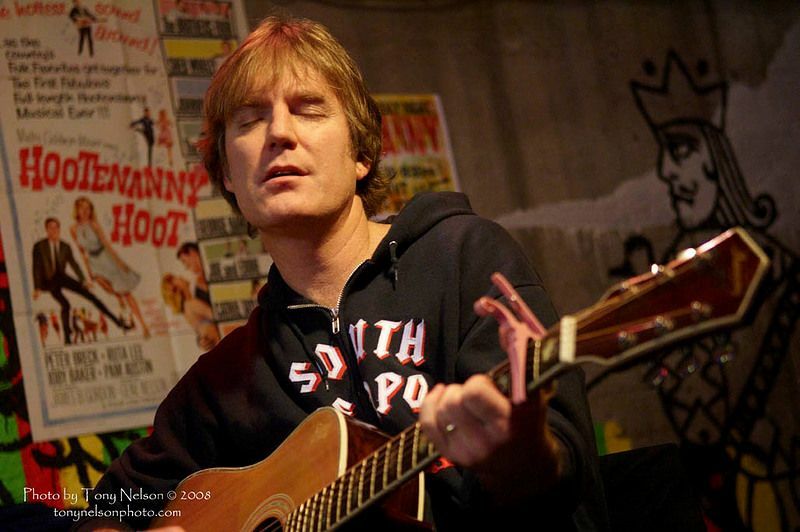 Walsh has always been a singer-songwriter in his own right, and ten years ago, he realized that combining his love for performing with all his contacts could give birth to the Mad Ripple Hootenanny. Every Friday night Walsh gathers four or five of his songwriting friends on stage at the Studio 2 Café, for a few hours of songs, anecdotes, and collaboration. What began as a joyful night of gathered friends has now become an enduring showcase of the best local songwriters in Minnesota. Frequent participants include Dan Israel, Terry Walsh (Jim’s brother who fronts the wildly popular Belfast Cowboys), Katy Vernon, Martin Devaney and Mary Cutrefello, and one never knows when one of Walsh’s famous pals like Billy Bragg or Tom Morello might make an appearance. Minnesota does not have a big venue like the Shoreline Amphitheater or the Alpine Valley Music Theater anywhere in the state, so we do the best with what we can. If you want to go see a great outdoor show on a lovely summer evening, head down to the Minnesota Zoo, home of the Weesner Family Amphitheater. 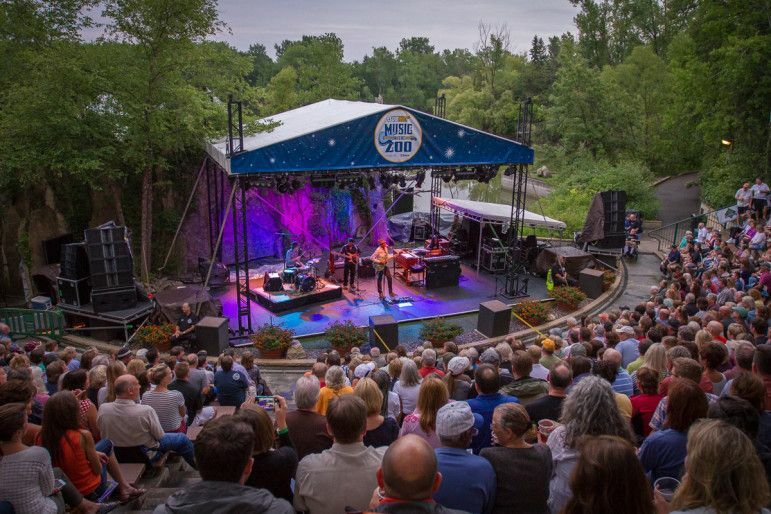 For 25 years now, the Music in the Zoo series has been a summertime highlight for music lovers who either don’t want to go inside to watch a concert or eschew the club scene. The Weesner regularly hosts acts like Steve Earle, Amos Lee, Lucinda Williams, Los Lobos and Jerry Jeff Walker, and any other performers brave enough to face the bugs that inevitably swarm the stage on warm nights. The Weesner is the legacy of, and a fitting tribute to Sue McLean the late music promoter who helped to put the Twin Cities on the musical map. The cozy confines (there’s seating for about 1500 people) and gorgeous backdrop make for a truly intimate and beautiful venue. If one is to live in a land which can feel like perpetual winter, then one should make the best of it. Minnesotans may look a little crazy to the rest of you for living up here in the Northland, but boy, do we know how to do Christmas. And we have the St. Olaf Choir to prove it. St. Olaf College is a small liberal arts school, one of two in Northfield (the other is Carleton College). The college is best known for two things: a close attachment to the Norwegian heritage of the school’s founders, and one of the finest music departments in the country. The music department puts itself on full display every December with the St. Olaf Christmas Festival. 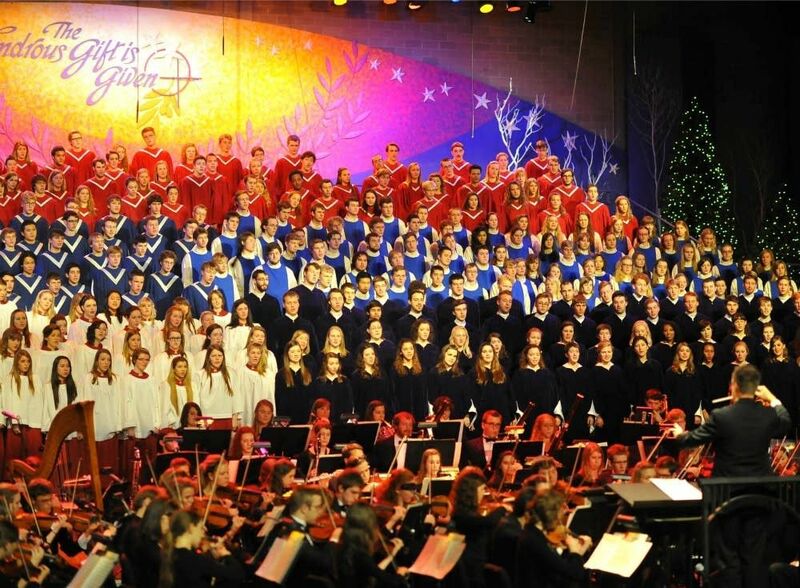 The school brings its many choirs together with the St. Olaf Orchestra to produce one of the finest worship services and most celebrated annual holiday concerts in the world. PBS regularly films the concert to show around the country every Christmas Eve. Prince’s home and studio, Paisley Park. The estate of our late purple hero has seen fit to turn the facility into a museum celebrating his life and music. If you loved his music and you’re in Minnesota, you’re probably going to want to check it out.